Yesterday, the coolant radiator hoses were installed along with installing the pull cable for the cabin heat in the instrument panel (more on the firewall forward side of this topic in the next post). Upper coolant hose fits nicely and clears the senders mounted on the firewall by a good margin. Houston we have a problem! While installing the lower coolant hose, it was quickly discovered the WD-1201 nose gear weldment was missing a threaded hole. After the discovery, quite a bit of time was spent pouring over the plans at least three times at the hangar and a couple of times at the house to see if a step had been missed calling for drilling and tapping the hole. Nope … couldn’t find it. Finally a call was placed to Van’s and I was told I did not miss a step … the hole should have been drilled and tapped during manufacturing of the part … bummer. This is a photo of the plans showing the hole location where an Adel clamp is to be mounted to support the lower coolant hose. The arrow is pointing to the problem area. Granted, I could just drill and tap the hole … but I don’t want to do that just for a clamp that supports a water hose because there is no good way to drill and tap the hole with the exhaust muffler installed and I really don’t want to remove it. Lower radiator hose passing by the WD-1201 nose gear weldment the hole should be an inch or so above the hose. I’ve been exploring options with Van’s that do not include the use of wire ties (one of their suggestions) for I would prefer a sturdy bracket that will not be affected over time by heat. Something along the lines of using the lightening holes in the weldment to mount a bracket or clamp to support the Adel clamp for the hose. After a little brainstorming, I sent a photo of one idea utilizing the lightening holes in the WD-1201 weldment and the supporting description and received Van’s blessings today. This is a side view of the WD-1201 nose gear weldment … notice the 1/2" lightening holes that are part of the gusset on the back side of the weldment. One of these holes (likely second from the bottom) will be used to secure a stainless hose clamp around the weldment. 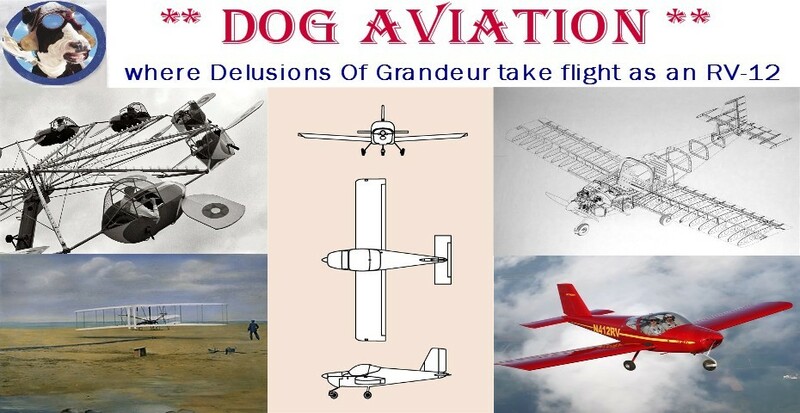 Below is a photo that was sent to Vans from the DOG Aviation engineering department along with a detail of the proposed solution for the problem. Basically, a stainless steel hose clamp will be drilled with a #12 hole in the center so an AN525 washer head screw can be inserted from the backside so only a stud protrudes the clamp on the forward side. … as demonstrated by the screw in the photo below that the clamp is setting on and the lose screw which shows the head of the screw. The screw will either be welded to the clamp or locked with a jam nut on the front side using red Loctite. The hose clamp will be covered with a rubber protective covering as is the Adel clamp for the coolant hose in the photo. The stainless hose clamp will be passed through one of the lightening holes in the gusset on the WD-1201 nose gear weldment ... as viewed in the above photo. A piece of the thick hard rubber shown in the photo below will be placed under the head of the AN525 screw prior to tightening down the clamp so the head of the screw will not mar the powder coating on the WD-1201 weldment. Proof of concept photo sent to Van’s for approval of the above solution to the missing hole in the WD-1201 nose gear weldment. Now that the above idea has been approved, will round up the parts and work on making it happen. In the meantime, not having a mounting point for the lower coolant hose’s Adel clamp is not going to affect moving on … and future additions will not hinder access to the area. So at the moment will “Keep Calm and Build On”. Return from the future: Discovered that the hose clamp in the above photo was becoming knife-edged on the lightening hole which in all likelihood would become a point of failure in the future. Another plan was devised and received Van's approval. The post covering the new mounting method can be seen at the following link.